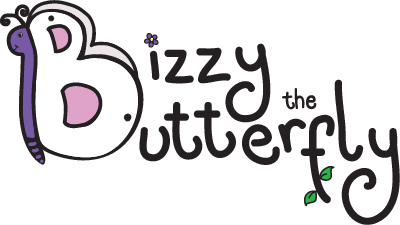 Bizzy the Butterfly and the Creepy Crawly Co-operating Caterpillar is the first audiobook in the Bizzy the Butterfly series. The stories are aimed at babies and toddlers combining a mixture of spoken story along with music. The story contains simple words and uses questions alongside to help encourage interaction with toddlers. This is a lovely story that delivers a message about helping and co-operating with each other, a great moral for toddlers to learn that they will encounter in everyday life whether at home, nursery or just playing with friends. I played this to my two children, 2yr old Mister B and 5yr old Miss M. They both sat down eager to listen and as soon as the music started Miss M was up on her feet fluttering around the room performing moves she learns at her ballet class. Mister B was right behind, copying her every move. As the music stopped they both ran back to their little chairs keen to hear the next part of the story. They did this continually throughout the audiobook which I thought was very sweet. They seemed to thoroughly enjoy it and both had smiles on their faces at the end. The audiobooks can be purchased from Bizzy’s Shop, from as little as £1.50 for the mp3, or there are options for an audio CD and book, so why not head over there now and take a look for yourself. This entry was posted in Reviews and tagged audiobook, bizzy the butterfly, childrens, review by Fiona Martin. Bookmark the permalink. Gorgeous! I think I will buy this for my little niece! That sounds like the perfect story I am looking for for my little ones.